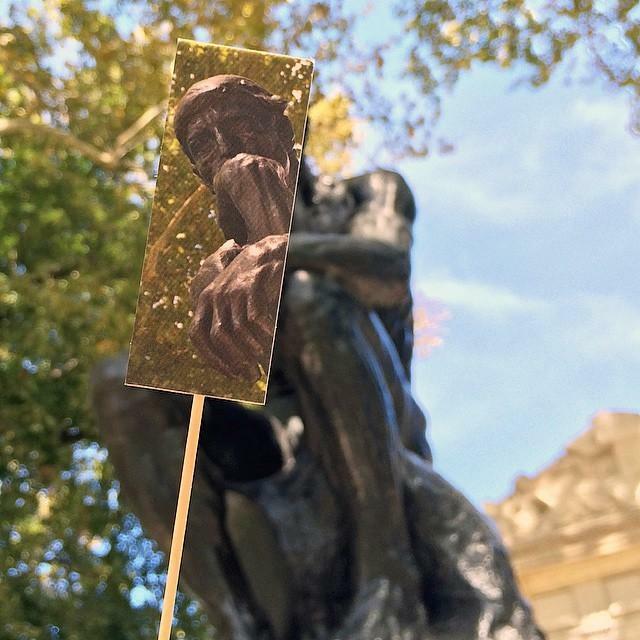 In 2014, the Association for Public Art (aPA) in collaboration with the Philadelphia Museum of Art and the Rodin Museum presented #THINKpublicart: a photo contest and crowdsourcing social media project that used photo submissions of Auguste Rodin’s The Thinker to create a one-of-a-kind photomosaic of the iconic sculpture. 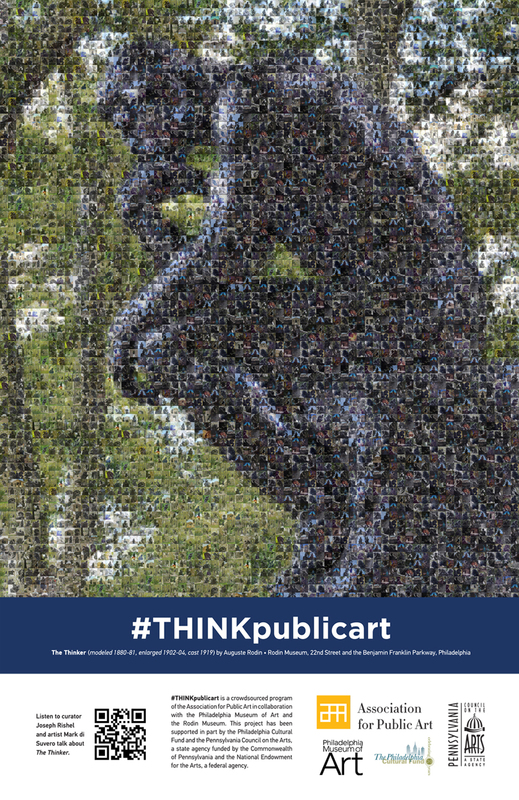 Photos labeled with the hashtag #THINKpublicart were entered into a photo contest and used to create the photomosaic. The final design was featured on bus shelters in Center City and printed on posters that were made available to the public for free at locations throughout the city. 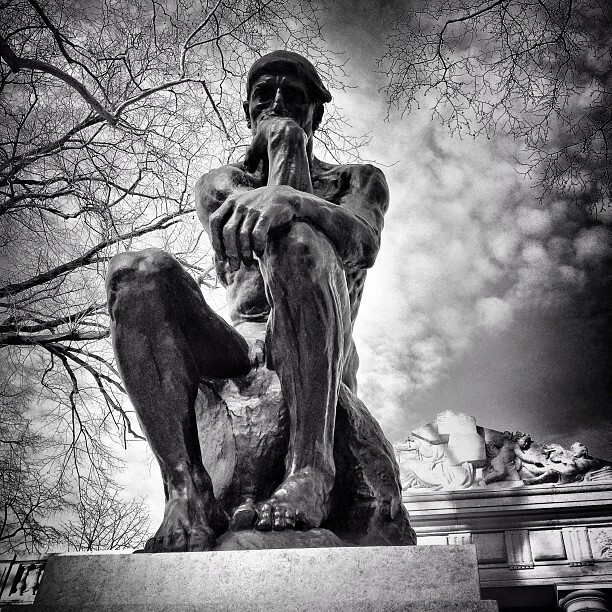 Auguste Rodin’s The Thinker in front of Philadelphia’s Rodin Museum. Photos © the Association for Public Art. If posters are no longer available at these locations, please e-mail apa@associationforpublicart.org or call 215-546-7550 to inquire about picking up your free poster today! 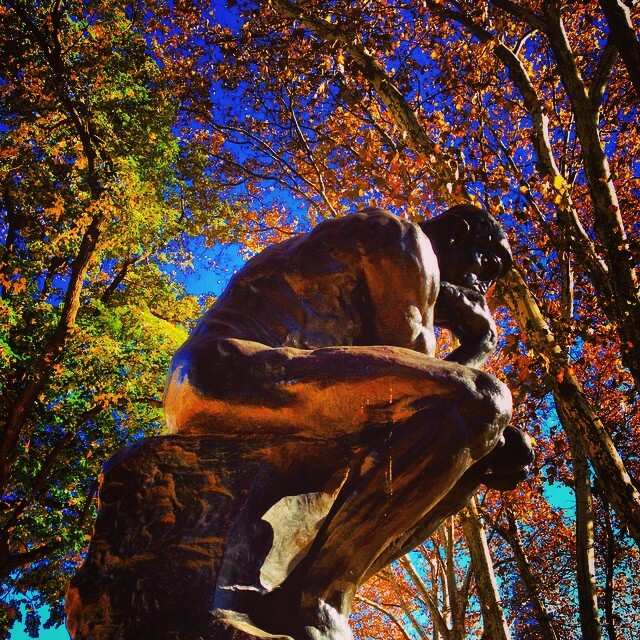 To collect images for the photomosiac, participants were asked to submit their best photos of The Thinker by uploading them to the Association for Public Art’s Facebook page or by using the hashtag #THINKpublicart on Instagram or Twitter. All appropriate photo submissions were included in the #THINKpublicart photomosaic and entered into our photo contest. 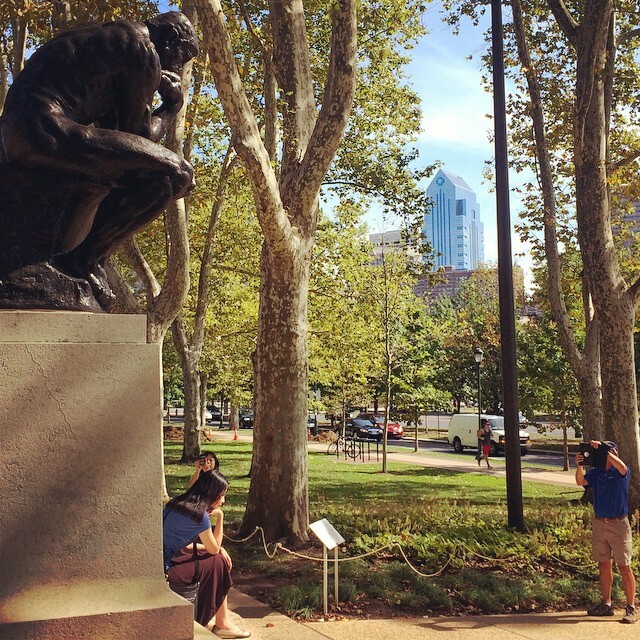 The top three #THINKpublicart photo submissions – determined by the public through online voting on our Facebook page – received a $75 gift certificate to Adorama Camera, as well as memberships to the Association for Public Art and Philadelphia Museum of Art. 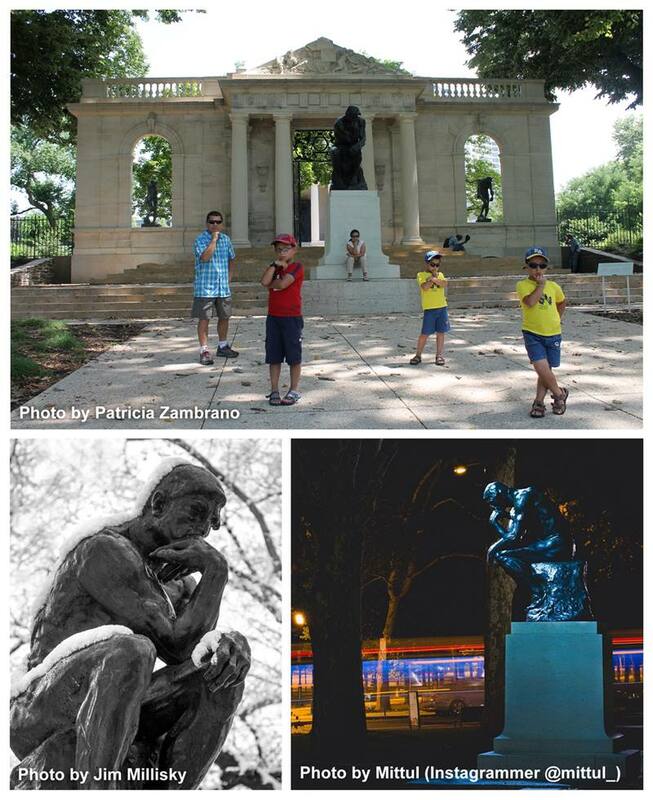 Congratulations to our #THINKpublicart photo contest winners! The votes are in: Congratulations to Patricia Zambrano (and the Cardenas family), Jim Millisky, and Mittul (Instagrammer @mittul_) for winning our #THINKpublicart photo contest! Our winners received a $75 gift certificate to Adorama Camera, as well as memberships to the Association for Public Art and Philadelphia Museum of Art. 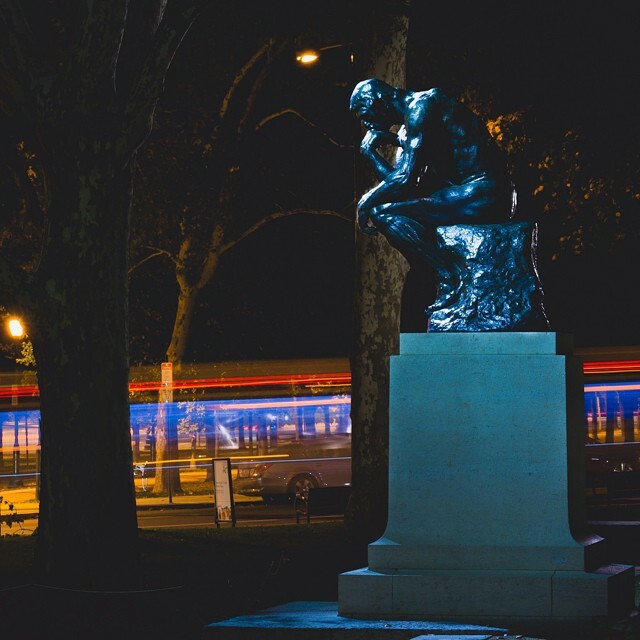 All #THINKpublicart photo submissions were be used to create a one-of-a-kind photomosaic of Auguste Rodin’s The Thinker, featured on bus shelters in Philadelphia during fall 2014. 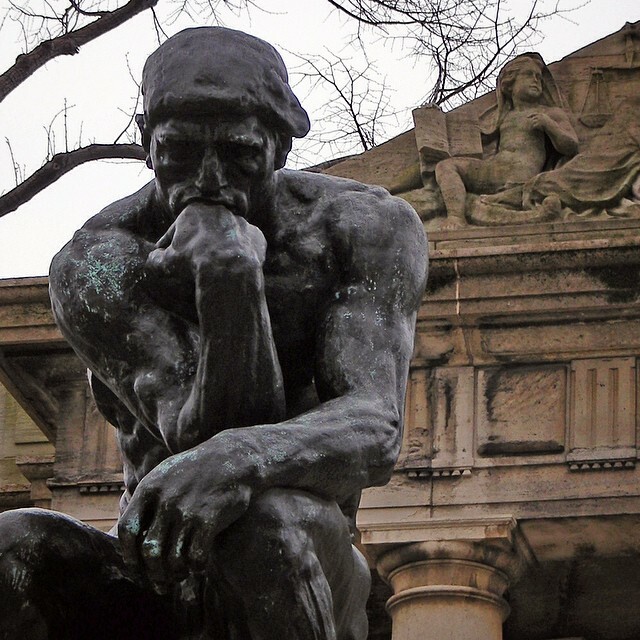 Rodin first imagined The Thinker (modeled 1880-81, enlarged 1902-1904, cast 1919) as a small central figure near the top of The Gates of Hell, a sculpture now installed at the Rodin Museum entrance. The Gates of Hell is based on The Inferno, an epic poem by the Italian poet Dante, and Rodin conceived the contemplative figure as representing the poet’s creative force. 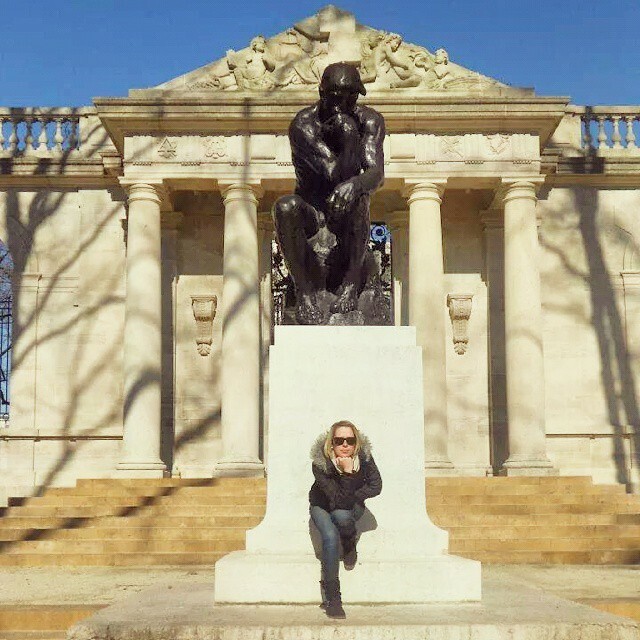 Rodin later enlarged The Thinker to monumental scale. In this form, it has come to symbolize all creative thought. The arrangement here, with an architectural facade behind the sculpture, matches Rodin’s gravesite near Paris. The bronze cast, made in 1919, was donated to Philadelphia by movie theater magnate Jules Mastbaum. 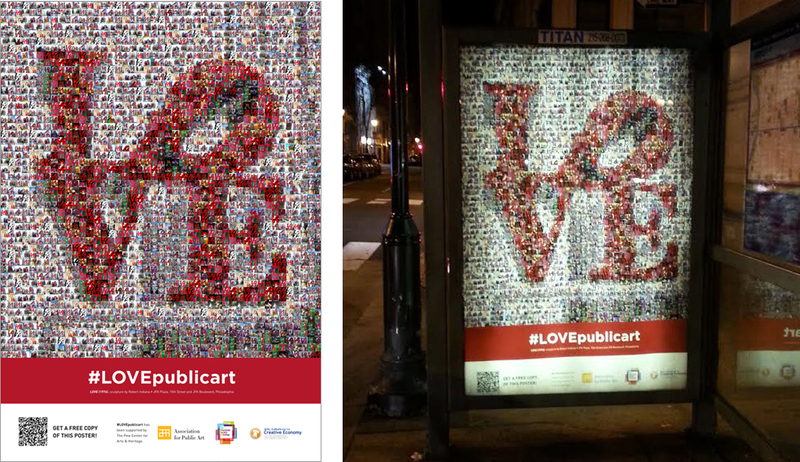 In 2013, the Association for Public Art launched its #LOVEpublicart campaign, which called for photo submissions of Robert Indiana’s LOVE sculpture to create a large photomosaic of the artwork. The design was featured on bus shelters around the city and printed on 11″ x 17″ posters that were made available at the Fairmount Park Welcome Center in LOVE Park. #THINKpublicart photo submission by @mpdesignshop on Instagram. #THINKpublicart photo submission by @cassiexdus on Instagram. 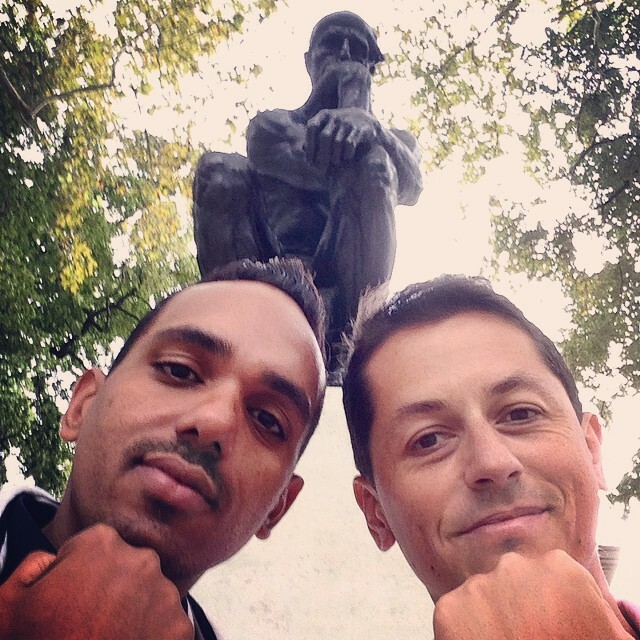 #THINKpublicart photo submission by @mittul_ on Instagram. #THINKpublicart photo submission by @rjmmarichal1 on Instagram. #THINKpublicart photo submission by @kehlertaylor on Instagram. #THINKpublicart photo submission by @bsquaredd7 on Instagram. #THINKpublicart photo submission by @ebreznay on Instagram.